Since launching Omni in 1998, Robert Leggett remains a dynamic Chairman who’s as enthusiastic about the growth and development of the business and his team as ever. Through his vision and determination, Omni became the UK’s leading Recruitment Process Outsourcer and Recruitment Transformation Consultancy. He started the business at the age of 26 with a £30K bank facility and a simple desire to change the way recruitment was managed in the UK. 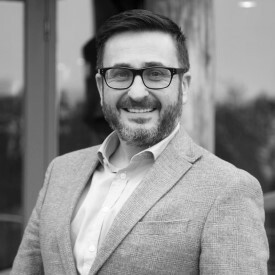 It was Robert’s early career at American Airlines and his subsequent forays into recruitment which shaped his view that if you are good enough and want something enough no one should hold you back from achieving great results. Robert will share the lessons he has learned during his entrepreneurial journey.